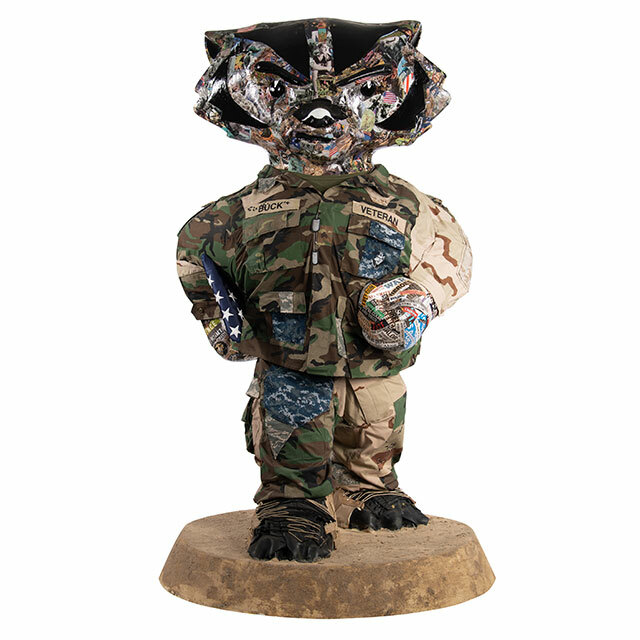 Bucky's uniform is a collage of every branch of the service since the Vietnam War. Material from actual uniforms was used and adhered with glue and sewing connections. The face and other non-clothed portions are collaged with scenes and sayings significant to the veterans who completed the artwork. The base is covered with acrylic paint and textured sand, and real laces were used on the boots. A representation of the United States flag is tucked under Bucky's arm. 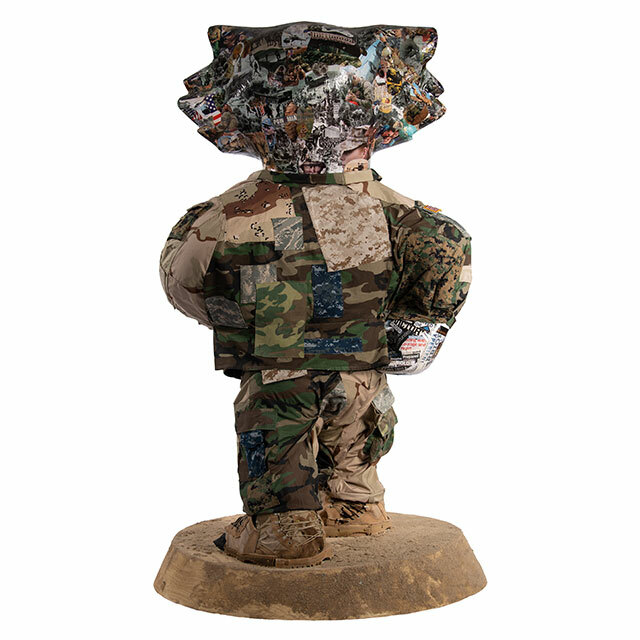 Our group of artists is made up of military veterans from all branches and represent many of the eras of conflict. The group came to be from a partnership between VSA Wisconsin– the State Organization on Arts and Disability and the Madison Vet Center, a Department of Veterans Affairs counseling center for veterans. The veterans involved see art not only as a hobby, but as a version of therapy and way of coping with their life stressors and military traumas.